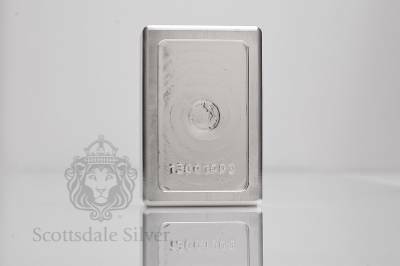 Вартість: 20366 грн. + 979 грн. (доставка) + розтаможка 8683 грн. The Stacker is back, and better than ever! Now featuring individual serial numbers. Precision machining at its finest. 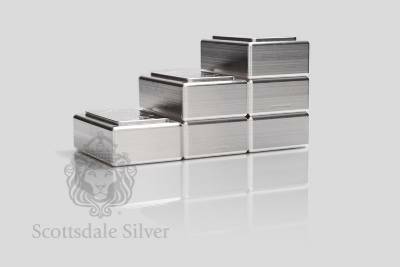 Nicknamed the Stacker®, this 1 Kilo bar's beveled, interlocking edges make it easy to create neat rows that will fit perfectly in your deposit box or safe. 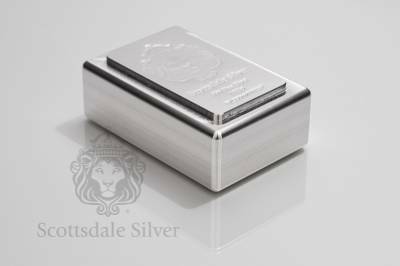 The logo and text is precision-stamped and the surface is highly reflective, giving the Stackers® a clean uniform look. 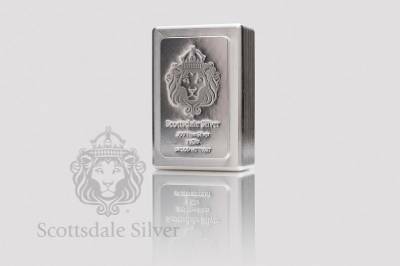 An anti-forgery swirl pattern with a light security Scottsdale Mint hallmark on the back adds to the good looks and exclusivity of this item. 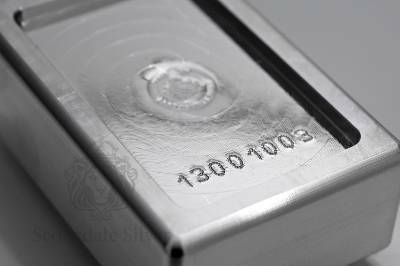 All good reason why this is this most popular silver bar in the World. This auction will ship to the USA ONLY. Please contact us for options to ship internationally. Sorry, no APO/FPO/DPO. 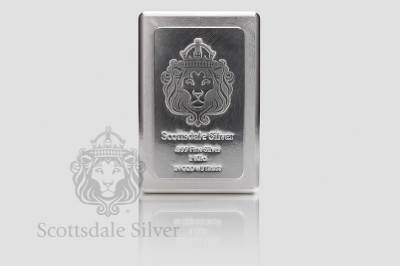 Due to the volitile nature of the Market: ALL SALES ARE FINAL & Payment must be made within 48 hours. 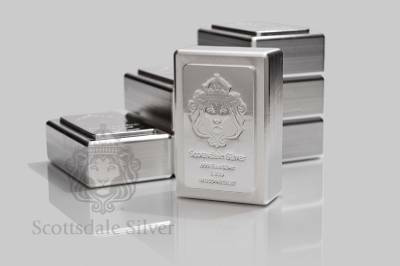 Scottsdale Silver GUARANTEE: Whether you buy a Scottsdale Silver branded product or a different item from us, we 100% guarantee it to be authentic. 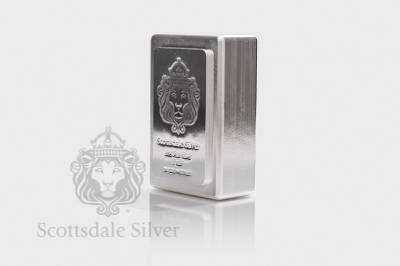 When you buy directly from Scottsdale Silver & Gold you are purchasing from one of the most respected Metals Companies in the industry. 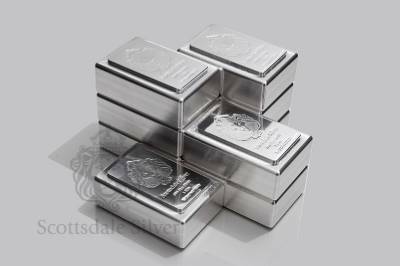 Our facility is based in Arizona and we are one of the largest sellers of bullion on eBay. 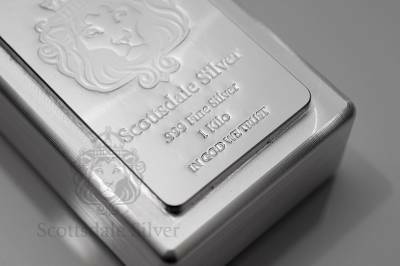 Check our Feedback and Bid with Confidence. 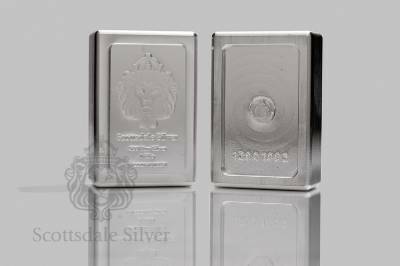 Why take chances buying from private individuals or lesser known sellers? 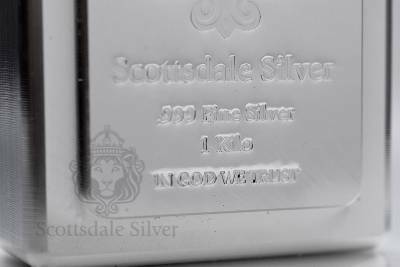 Email us through the Ebay system or Google "Scottsdale Silver"